A Halifax apartment scam reported on YouSuckatKijiji.com last summer has resulted in charges. Detective Constable Dana Drover of the Halifax Regional Police/RCMP Integrated Financial Crime Unit says the updated scam is easy fall victim to and tougher to spot. The HRP/RCMP Integrated Financial Crime Unit has laid charges against a landlord in an apartment rental scam targeting university students. 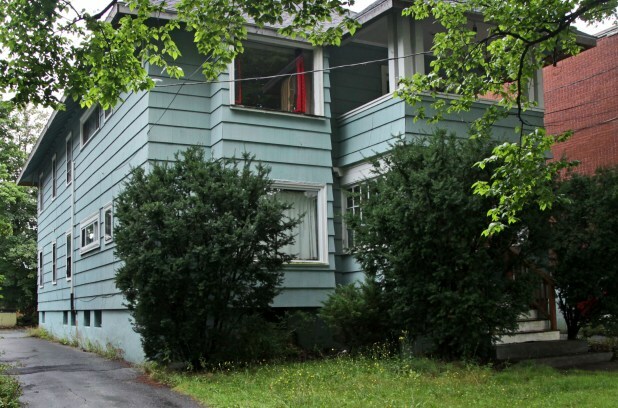 In April, 2012, Halifax Regional Police received a fraud complaint from a man who became the victim of an apartment rental scam. He replied to a Kijiji post advertising an apartment for rent at 1740 Robie Street. He met with the landlord, inspected the apartment and then provided a deposit and signed a lease. The landlord subsequently cut off all communication with the renter. Ultimately, a total of eight complaint involving 24 victims were filed with police in relation to this address. On August 30, 2012, investigators arrested 26-year-old Cyrano Carette of Bedford and laid nine fraud related charges against him in relation to the property at 1740 Robie Street. Investigators continued to follow-up with this file and uncovered another scam involving a 6010 Cedar Street property owned by Carette. A total of three complaints involving six victims were filed with police in relation to this address. On January 10, 2013, investigators re-arrested Cyrano Carette and charged him with 31 additional fraud-related charges in relation to both dwellings. He was released from custody and will appear in Halifax Provincial Court at a later date. Remember, when you get scammed off on Kijiji, file the appropriate notices through the web site, and contact your local police department. They might not do anything, but they add it to a growing file that could result in later charges. Better yet, dont' get scammed.